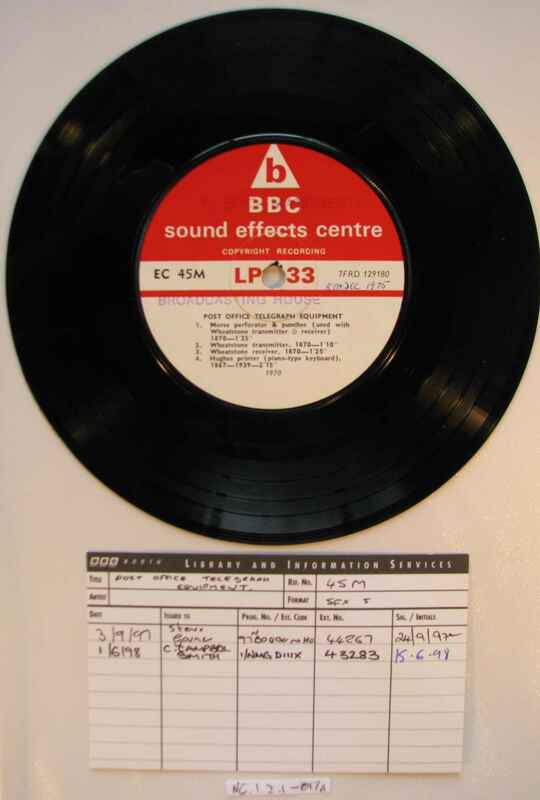 Full Description: A 7-inch extended-play 45-rpm recording from the BBC sound effects centre, dated 1970, of "Post Office Telegraph Equipment". The EP includes the sounds of Wheatstone's Transmitter and receiver, together with a Morse Tape perforator. Serial numbers LP33 - EC 46 - 5m - 7FRD 129180. 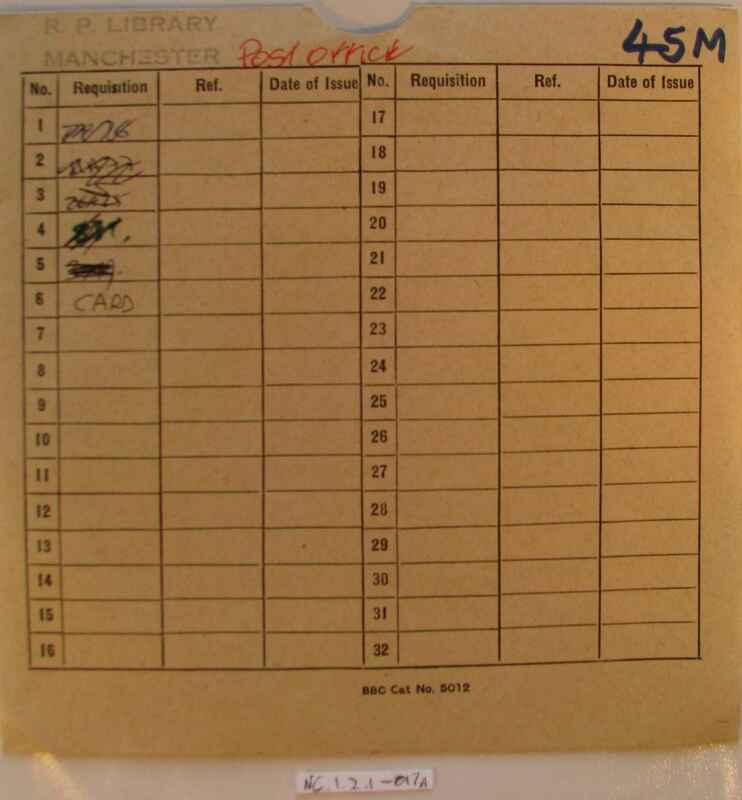 In its original RP Library Sleeve and with the original BBC Library lending card.